Folia Water is a wholesale technology manufacturer of paper filters: our business model is to sell commercial volumes of our Folia Filters™ to international consumer goods distributors who have the expertise and know-how to handle local distribution. Qualified master distributors must have a demonstrated history of marketing localization including product positioning, messaging, supply chain, consumer retail trade, etc. Folia Water's target consumers are the 3 billion working class consumers in emerging markets with incomes of $2-10/day. Collectively they spend $20 billion on water, paying 2-10x more than our filters for bottled water or soda. Folia Filters™ are priced to enable working class consumers to be able to afford their own safe water. Our vision is for our Folia Filters™ to be sold as a staple in retail stores throughout emerging markets. Universal access to safe water is possible, but only if each family has the agency to buy safe water for themselves. Jonathan has a Ph.D. in Earth and Environmental Engineering from Columbia University. Part of his Ph.D research was designing a water purification system for the back of pickup trucks in Africa for the U.N. Millennium Villages Project. He has led Folia Water from a business idea to a customer-tested, industrially-manufactured product. His vision is for Folia Filters™ to be sold on every retail store shelf in the developing world, a mass market staple bought along with soap, snacks, and SIM cards. As CEO, Jonathan has a role in all parts of the company including product, operations, sales, and financing. Dr. Teri Dankovich has a B.S. in Textiles and Fiber Science from Cornell University, an M.S. in Agricultural and Environmental Chemistry from University of California in Davis, a Ph.D. in Chemistry from McGill University, and completed postdoctoral research at the Center for Global Health at University of Virginia and Civil and Environmental Engineering at Carnegie Mellon University. Her doctoral and postdoctoral work has been the invention, laboratory, and field testing of Folia Filters. She created Folia Water to commercialize her invention, moving it out of the lab to an industrially manufactured product. As CTO, Teri handles all aspect of product including new technology invention and research, product development, customer product testing, industrial manufacturing, and quality control. Mitra is a serial social entrepreneur & innovator, working in the fields of technology for good, especially IT and renewable energy. Mitra is passionate about: scaling innovations to the size of the problem; ensuring that people lift themselves out of poverty in ways that do not destroy their, or our environment in the process; and bridging the gap between engineers & social-entrepreneurs. He founded Lumeter Networks which built payment (PAYG) technology used to deliver affordable solar to underserved rural villages largely in Africa. Mitra spent ten years commercialising green technologies including: starting Australia’s fastest growing solar company; acting CEO of Papyrus –(making paper from banana waste) and raising several million dollars for Urban Ecological Systems (aquaponics). Mitra was an early internet pioneer including co-authoring standards, and in 1989 co-founded the Association for Progressive Communications which is a consistent voice for the underserved in ICT policy especially for the global South. He has been active in mentoring and very early seed investments - both as a previous board member of Mentor Capital Network and through his non-profit Natural Innovation. Satinder is a former R&D Manager in Global Healthcare at The Procter & Gamble Co. where he was for the past 27 years. Received a Ph.D. in Pharmaceutical Sciences from the University of Cincinnati, College Of Pharmacy. He is results focused and has demonstrated success in leading the entire life cycle of responsibilities associated with the management of processes and quality systems for launching OTC healthcare products in highly regulated environments. His expertise in water comes from being part of the R&D team for PUR Water Purification brand of products. He is a consultant and mentor to startups in the Cincinnati and Tri Stare area as well as working on launching a couple of startups himself. Recently retired Senior Research Fellow from Solenis, a premier supplier of functional and process chemistries to the pulp and paper industry, following a 37 year career. Received a Ph.D. in chemistry from the Institute of Paper Chemistry in 1983 with studies on cellulose structure. Research and Development scientist for multiple wet end chemistries including sizing agents and wet and dry strength resins with multiple patents and technical publications. Manager of large technical service group focused on strong industry technical service. Served with multiple industry research and technical associations and recently including the Renewable Bioproducts Institute and Agenda 2020, both focused on developing industry leading precompetitive technology of highest value to the pulp and paper industry. Most recently served as manager of External and Emerging Technology including development of a worldwide program promoting open innovation approaches to R&D for Solenis. Pramod is CEO of VIVIO Health, a company reinventing the therapeutic use and supply chain for the specialty drug space. He was formerly CEO of Oration, a venture-funded startup in healthcare transaction processing. Prior to this, he was VP of Strategy & Innovation at McKesson, the world’s largest healthcare services company. Earlier, he founded two tech companies; one is now owned by Dell and the other by VMware. With significant entrepreneurial and F500 business leadership experience, Pramod has a track record of strategic and operational success in both large scale and startup environments. After launching his career in Silicon Valley technology, Pramod migrated to healthcare, an industry suffering from legacy systems and archaic transactional processes both of which contribute to gross inefficiencies. Combining his technology background with more than a decade of healthcare experience, Pramod has a great deal of experience in understanding and optimizing businesses that range from very low margin distribution businesses to high margin software companies. Rob is a veteran of government, academia and industry as both a scientist and a leader. After earning a Ph.D. in Nanotechnology and Materials Chemistry, he led development of NIST’s silver nanoparticle reference material, and has published over 40 articles on nanomaterial environmental health and safety, nanomaterial synthesis and characterization. In 2013, Rob was hired as the first faculty on the startup team for Florida Polytechnic University, and also served on the Board of Trustees and was Director of Nanotechnology and Multifunctional Materials Programs, responsible for designing an experiential-learning STEM curriculum to prepare graduates for their careers, leading the multimillion dollar laboratory equipment design and installation, serving on dozens of hiring committees including the university’s first president, maintaining accountability for the university’s budget, and teaching in the school’s first year. During this time, Rob founded MacCuspie Innovations to provide consulting services for startups and small companies commercializing nanotechnologies. Currently, Rob is the Director of Science for Natural Immunogenics Corporation. Former acting CEO and CFO of Safeway.com, a top 10 food & drug eCommerce company in North America. Upon Albertsons Companies acquisition of Safeway in early 2015, he was appointed to lead the combined companies’ eCommerce business. Mr. McCready has 15+ years’ experience in food & drug retailing including leading Safeway’s Corporate Development group. Prior to entering retail, his professional focus was investments as an equity analyst at Lehman Brothers, the fourth-largest investment bank in the United States at the time. He holds an MBA from Columbia Business School and a bachelor’s degree in Finance from Boston College. Raja is an accomplished multi-lingual executive and entrepreneur with a passion for companies and organizations that make a positive difference in the lives of people, preserve our planet and are able to be financially sustainable. His experience includes senior level roles in multinational companies (Coca-Cola, B&W/BAT, BOC Group…), regional companies and start-ups. He worked in Europe, Asia, multiple MENA countries and the USA across different sectors and industries. He has successfully managed organizations in difficult and sometimes hostile environments. As an entrepreneur focused on social enterprises, he co-founded 2b design also known as Beyt by 2b design, a multiple awards-winning company that repurposes discarded materials into high-end home decor and provides employment opportunities to marginalized artisans. Raja has also been involved in the non-profit world serving as Board Chair of a fast growing NGO providing health care and education mainly to Middle Eastern gypsies. As a consultant for Stanford University’s Institute for Innovation in Developing Economies he helps African entrepreneurs grow their companies . Raja gained his MBA from New York University and his BA from the American University of Beirut. Justin is an early Internet pioneer and technology startup veteran. His last four companies: AboveNet, NetZero/United Online, Demand Media and Blackline Systems have all exited with $1 Billion + IPOs. He was responsible for architecting each company’s platform for global scale and preparing their data systems for Sarbox compliance. He founded The Internet Service Provider’s Consortium (the first trade association for ISPs) and was their Public Policy Director. Justin is currently the founder and CEO of Netki. Netki’s products allow companies to make blockchain applications easy to use and able to meet regulatory/compliance requirements. Justin currently serves on the Industry/Law Enforcement Portal Working Group of the Blockchain Alliance and the State Legislative Working Group of the Chamber of Digital Commerce. He is also on the Board of Directors of Adra Match Software. Tim is a serial software entrepreneur with a penchant for data analytics and big backends. His 20+ year technology career has included being a technical founder of 6 software companies. His last 3 companies have all been hardware companies. He is currently the CEO of ZeroPond and dcrASIC, cryptocurrency hardware companies. After receiving his Executive MBA from Case Western Reserve University in 2004, Dale started Flexlink LLC. He recognized a need among medium-sized manufacturers for papers that were tailored to their exact needs. Flexlink is now a global company with domestic and international suppliers. It maintains distribution centers in Cleveland, OH and Philadelphia, PA and markets products nationwide and on three continents including numerous countries in Latin America. He is passionate about new product development, utilizing alternative fibers, solving complex distribution problems and often advises start-ups on ways to leverage their unique selling proposition add growth and scale up. Dale has traveled extensively throughout Latin America, Southeast Asia and Africa for work and pleasure. His wife, Silvia, was born in Argentina and raised in Puerto Rico where her immediate family still resides. Silvia currently serves as the Vice President of Sales and Marketing Americas for AR Metallizing which is the world leader in production of coated metallized papers for flexible packaging and labels. Dale and Silvia are raising 10 year-old triplets. Adam is a Bay Area based investor, adviser, and business operator. Adam regularly works with emerging companies at all phases of growth. Adam sits on several boards and regularly counsels founding teams on a variety of business issues. Throughout his career, Adam has had a number of interesting “day jobs” as well – currently he’s the Head of Emerging Brands at Clorox. He has responsibility for leading the strategy, operations, and P&L of a high growth part of the company's portfolio. 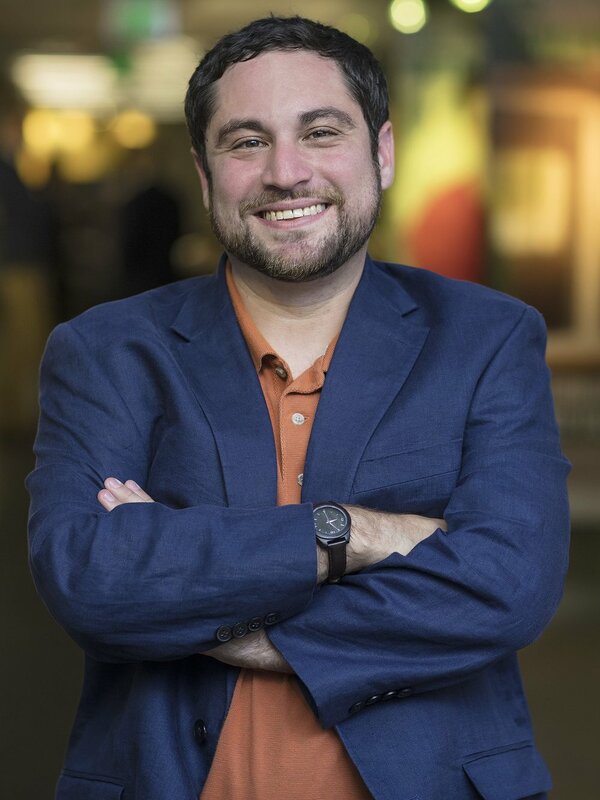 Adam has an MBA from NYU-Stern and an undergrad degree from Cornell University. He lives in Oakland, CA with his wife (an M&A partner at Goodwin), two precocious kids, and a giant St. Bernard. Theresa Dankovich, PhD, invented germ-killing nano-silver coated paper filters as the focus of her doctoral work in Chemistry at McGill University in Montreal, Canada between 2008 and 2012. Her invention uses non-toxic reagents and renewable materials. She showed at the lab-scale that nano-silver paper filters were highly effective at eliminating bacteria. For her post-doctoral research at University of Virginia in 2013, she successfully field tested the filters in rural Limpopo, South Africa. 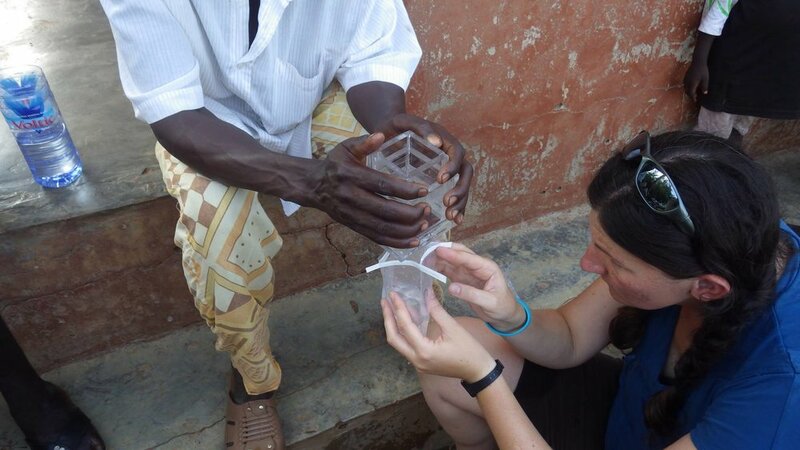 Since 2014, Dr. Dankovich and her partners have field tested her filters in Ghana, Honduras, Bangladesh, Kenya, China, and Haiti, showing repeatedly that they can purify many types of polluted water, including well water, streams, rivers, ponds, springs, and even gray water. The next challenge was to create culturally appropriate filter holders for international markets that would ensure correct and consistent use of the filters. Working with a variety of international partners, Dr. Dankovich and Dr. Jonathan Levine (Folia Water's cofounder and CEO) field-tested various filter holder designs and collected feedback from potential customers in Bangladesh, Honduras, and South Africa. In 2016 Folia Water tested a variety of product designs, performed extensive customer testing, and scaled to industrial production. Folia can now manufacture its Folia Filters™ at industrial scale. The Keystone Funnel™ was developed as a filter holder that fits with nearly any household water container: cups, buckets, two-liter soda bottles, larger bottles or jugs, jerry cans, or kolshis. Folia Water is a wholesale technology manufacturer of paper filters: our business model is to sell large volumes of our Folia Filters to international consumer goods distributors who have the expertise and know-how to handle local distribution.